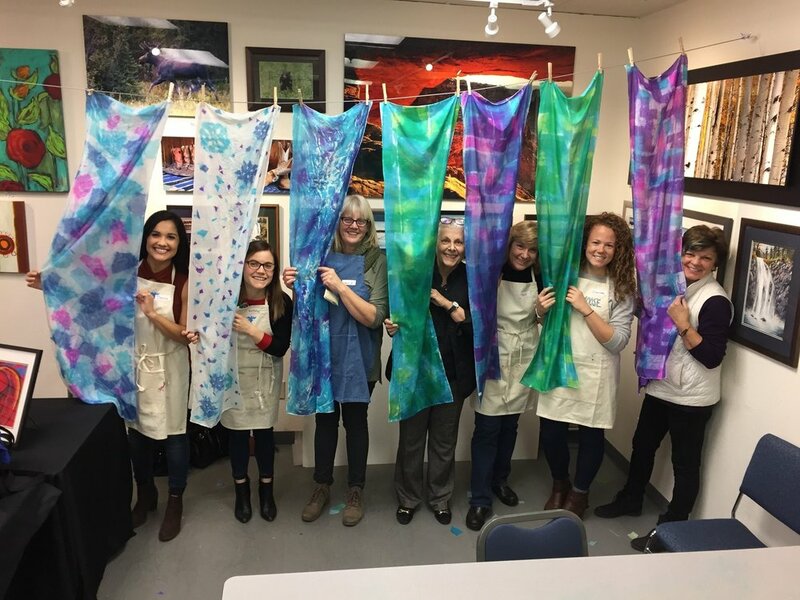 Blue Moose Gallery Art Classes & Workshops Are Fun! Classes and workshops are scheduled days and evenings on both weekdays and weekends. Click the button above to learn more about our unique classes. Please register by calling the gallery at (970) 825-5704 or stop by the gallery anytime (4032 S College Ave, Fort Collins Colorado). Private classes are so much fun, too! Reserve a date, choose your art project and fill the class with your friends, co-workers or family. Reserve your space today! Class sizes are limited, so grab your friends and come!